Walt Siegl is hands down one of my all time favorite custom bike builders, with his FX roadster being my all-time favorite custom bike. I feel his builds are best described as being fluid, always flowing with a distinctive purpose. With a plethora of custom one-off builds, Walt Siegl Motorcycles (WSM) has also offered the Leggero series, a custom series of bikes that is built specifically for each client off of a set platform. 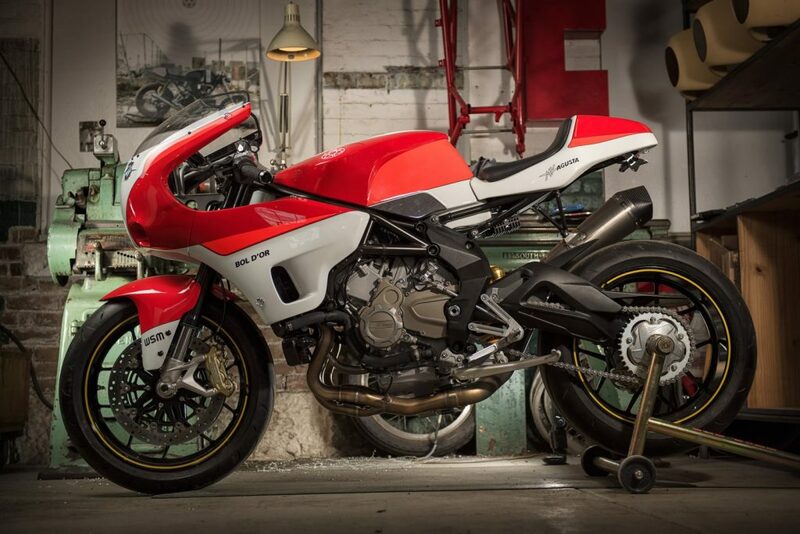 With the success of the Leggero, WSM has brought another series based on a new bike, the spectacular MV Agusta F3. First, let’s touch a little bit on Walt’s background. Born in Austria, Walt always had a passion for motorcycles, stemming from both sides of his family. At 18 years of age, Walt became a sponsored endurance motorcycle racer taking him all over Europe to compete. He describes his love for motorcycles as much more than just street riding, even saying “Street riding wasn’t interesting enough for me.” This was Walt’s life until he had a serious crash at the age of 21 that ended his professional career. While He did continue racing after the accident, it was never to the same extent. After his racing career, Walt held a handful of different jobs, mainly ones that involved him working with his hands. This took him to different parts of Austria, Germany, and even Moscow. And then it all changed in 1985. While working for the Austrian Ministry of Foreign Affairs he was transferred to New York, NY. His day job allowed him to open a small studio on Long Island where he would build and customize motorcycles in his free time. It’s dedication like this that shines through like nothing else can. “I existed under the radar,” he said. “I never planned to build clientele — I did it to make my hands dirty and explore the possibility of building bikes.” While building bikes for himself and his friends he found his calling, a passion that took over his work at the Austrian Ministry of Foreign Affairs. Once Walt established himself as a fabulous bike builder he moved his shop, family, and life to a new building in Southern New Hampshire where he has been happily working since 2007. And here we are, 10 years later and still admiring his craftsmanship. His newest series of motorcycles has me reminiscing about the first time I saw one of his builds. 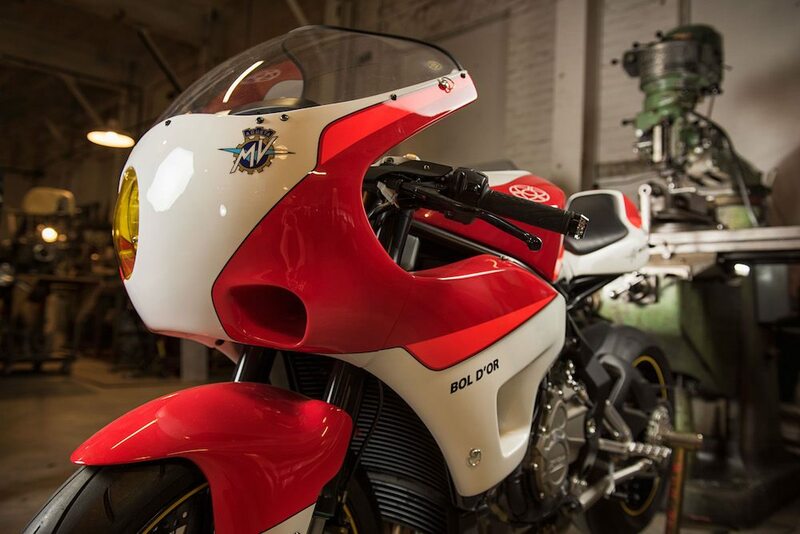 Like the Leggero, the Bol d’Or will be based off a single production motorcycle, yet looked nothing like the stock version you would buy. 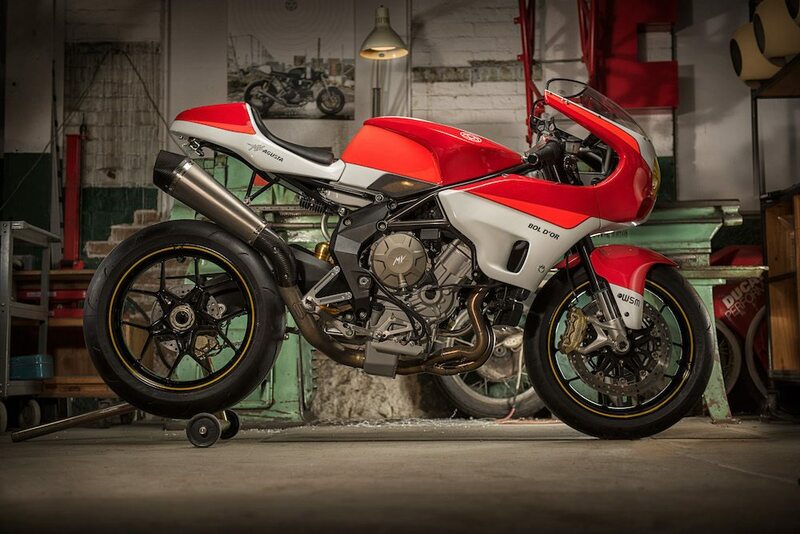 The Bol d’Or will be utilizing MV Agustas newest triple, the F3. 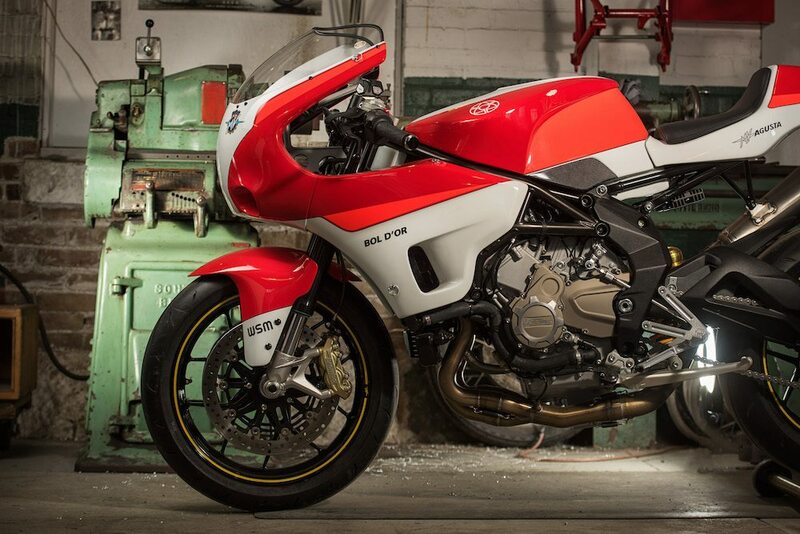 The F3 sports a 675cc 3-cylinder triple that puts out a quaint 128hp in stock trim. And while it’s one of the best-looking stock bikes on the market today it can’t even hold a candle to what WSM has created. 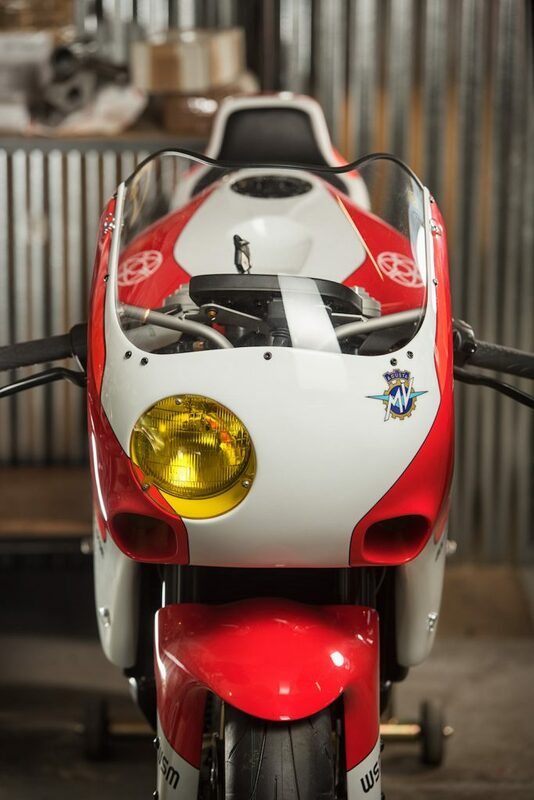 The Bol d’Or is a design that sits close to Walts’ heart as it’s a custom take on the old school endurance racers that Walt cut his teeth on back in his youth. 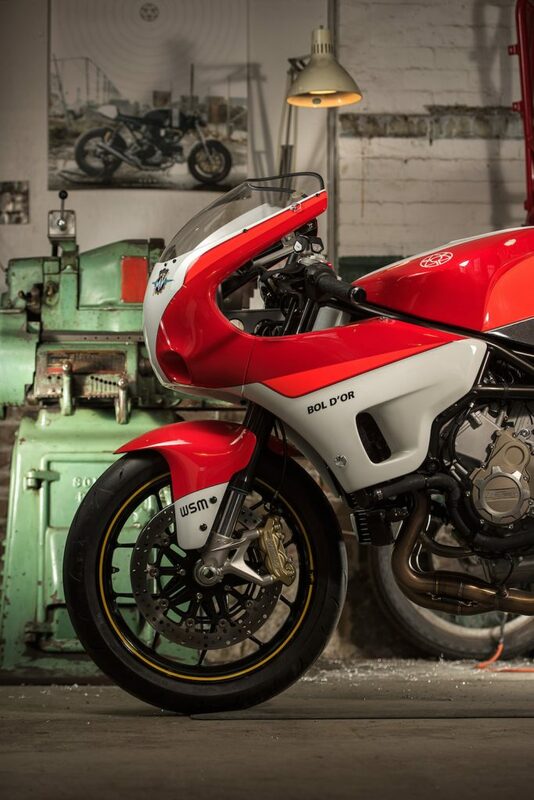 While his bikes may be beautiful, it is never at the sacrifice of performance, typically on the contrary. 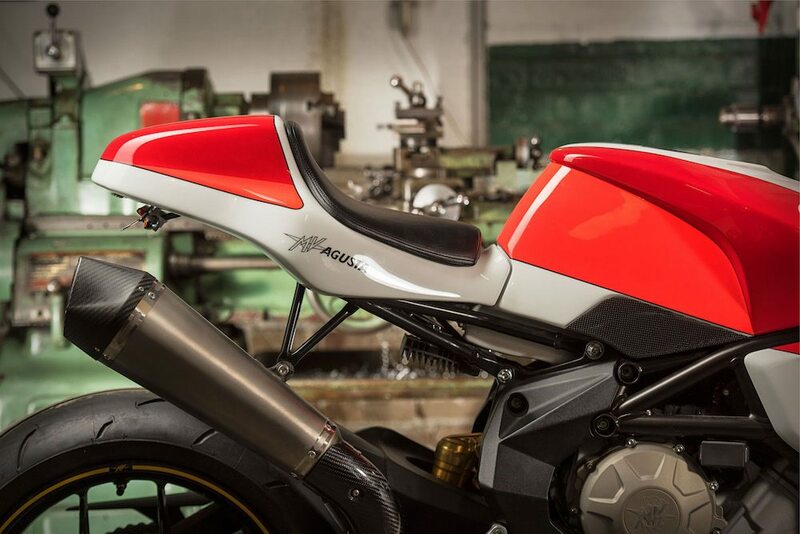 The Bol d’Or is no exception, with Walt saying “The weight reduction program for the Bol d’Or starts with the use of high-tech composites to replace the plastic OEM bodywork and gas tank. 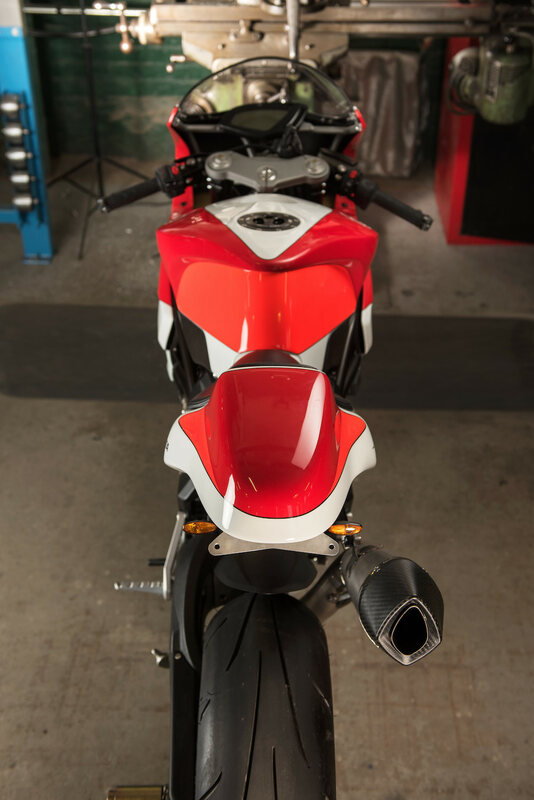 Additional weight reduction is achieved with our aluminum subframe, the lightweight performance exhaust system, and our WSM rearsets that are machined from 7075-T651 aerospace-grade aluminum.” It’s worth noting that this composite body only weighs 8.5lbs total. That includes the fairing stay. That’s just absurd that something as light as this can still be this beautiful. Not only is the Kevlar bodywork better looking and lighter weight, it’s also more functional. It now features a custom ram air design that force feeds the triple air, allowing the custom tuned ECU force the engine into producing more power. This keeps the triple singing happily at its 15,000rpm rev limiter, something that you can tell Walt enjoys very much. 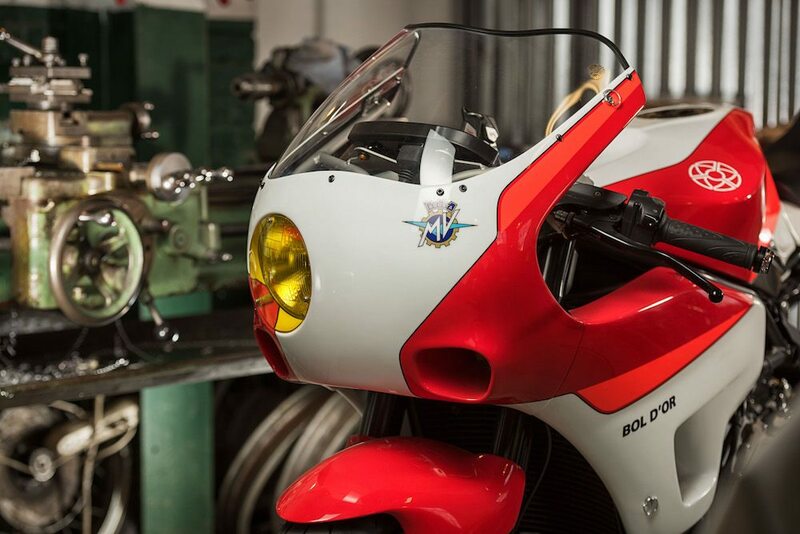 While he is happy with the design he constantly brings it back around to the performance of the bike, even saying, “It’s just a real animal when you get on the throttle. Its lightness and responsiveness makes it feel like a scalpel on the road.” I think that’s the type of bike we can all get on board with. The body work is as good as anything WSM has done in the past, blending past, present, and future all into one breathtaking mold. My favorite part of WSM bikes is always the gas tank. Describing what makes them such a unique piece is practically ineffable. 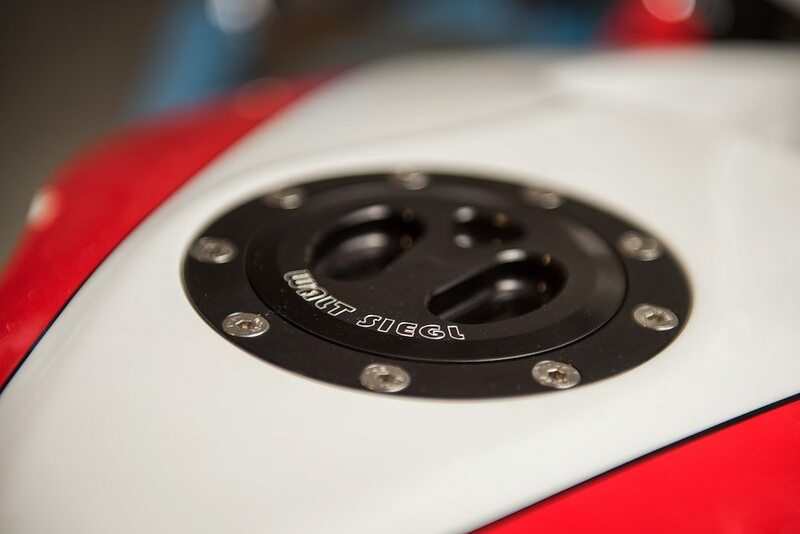 As far as bodywork goes, the gas tank is definitely the heart of it all, shaping it is so important because when you are on the bike it’s the only part you see. And as a rider and former racer, I think Walt understands this better than anyone. “Street riding wasn’t interesting enough for me.” the quote that echoes through each and every build that comes out of his garage. I’m glad just riding wasn’t enough for Mr. Siegl, because if it were, we might not have missed out on some of the best custom motorcycles the world has ever seen.